The Utah Outliers return to action this weekend after a rare bye week to take on a familiar foe once more. 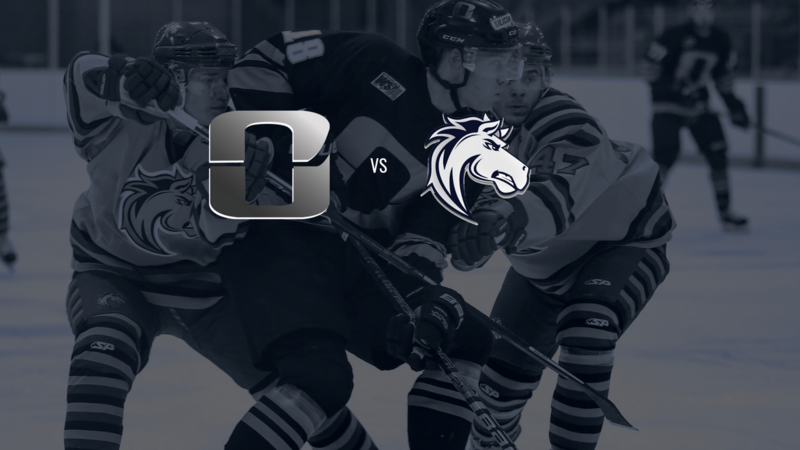 The Outliers will be playing in their last home and home series against the top ranked Ogden Mustangs as the regular season draws to a close. The two game set will be the last time these two teams face one another until what seems like another Mountain Division final round. Both Utah based programs have eight games remaining in the 2018-19 regular season. For the Mustangs it is about keeping the trend going and continuing on their best season in program history, while for the Outliers, the focus is on picking up momentum and looking to build on their recent sweep of the Stampede. In the last two game series, the Mustangs took the series by earning a point in a 3-2 shootout loss, as well as three points in a 3-0 win. Both Utah and Ogden have been in the WSHL top ten throughout the entire regular season. The Outliers have fluctuated in the standings from 2nd-8th place whereas the Mustangs have put a lock on 1st place for the entirety of the year. Part of the reason for each teams’ success is based on the fact that they can score goals in bunches, while not giving up nearly as many. Both teams sit in the top 5 in offense (OGD 1st) (UT 5th) and top three in team defense (OGD 1st) (UT 3rd). In most statistical categories across the board, the Mountain Division rivals rank either number one of very close to the league lead. The two games should be a fantastic display of skill as each team looks to clean up any mistakes in their games as they prepare for a deep playoff run. For the Outliers, one thing to keep an eye on comes in the form of their latest roster addition. Bryan Watters has joined Utah at the trade deadline, coming to the team from the Cheyenne Stampede. In his first season in the WSHL, the 99 forward has put up 28 goals to go along with 25 assists. The gaudy numbers are even more impressive considering his 53 points were 19 higher than the next player on the Stampede roster. With the addition, Watters adds another offensive threat to a balanced Utah attack that sees six 20-goal scorers on the roster. For the Mustangs, depth of scoring is also not an issue, as seven members have or are close to 20 goals, with two members also having 46 and 34. The Mustangs have shown throughout the season that they have no issue scoring goals. This trait is also supported in the form of having a goaltender that is sitting at an impressive 23-1-2 record and supporting a .936 save percentage. With the ability to score goals and prevent them, Ogden has shown they can win in a number of different ways. This final meeting between these rivals is sure to not disappoint and all begins Friday night at the Ice Sheet in Ogden, UT at 7:30 PM. Saturday night will return the Acord Ice Center as the Outliers host “Hockey Fights Cancer” in their last regular season home game at 6:30 PM. For more information, the team website and social media sites can illustrate details on the weekend matchup, as well as give more details on the special event for Saturday night.